Utility and mobility come together in Seville Classics 6-Drawer Rolling Cabinet. 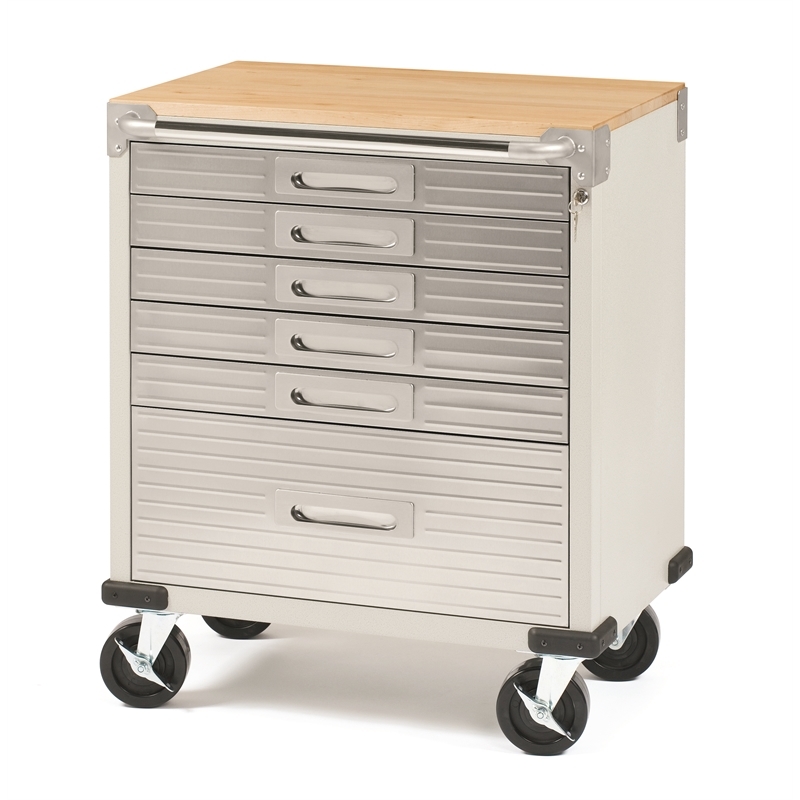 Designed for heavy-duty use, the drawers and panels are constructed from high-quality steel. The 3/4" solid hardwood top is intended for use as a work surface for everyone from home mechanics to professional tradesmen. 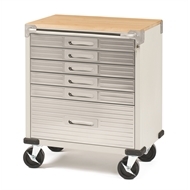 Includes six drawers with cushioned liners and a locking system (with key) to keep your tools and supplies safe. The included rolling casters allow your equipment to go where you do. A push bar allows the table to act as a ultra heavy-duty wheel cart.